We’ve all heard how important saving money for retirement is. You hear it from the Dave Ramseys and Clark Howards of the world on their talk shows geared towards the masses. You hear it from your employer who wants you to contribute to your 401K plan. There have been hundreds of books written on saving money for retirement. What is the best way to save for retirement is still the question many people ask. In this blog post I will address that question in a simple to understand manner that actually makes sense. So stay with me, and you will learn so much. Most people aren’t really sure if what they are doing is the best strategy for them. 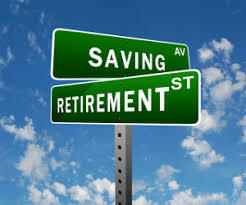 I will go over the most common ways most people save for retirement and when should those strategies be used. I will also cover some of the prevailing wisdom in the media. Can you even trust it? Let’s get started. What are the typical retirement savings options? Well there’s the 401K at work. Then there is a 403B plan used by teachers, hospital workers, and other non-profit entities. There is the SEP, Simplified Employee Pension plan, that is used by small businesses. If nothing is provided by your employer, you can open an IRA, traditional of Roth. The vast majority of people are using one of these plans. 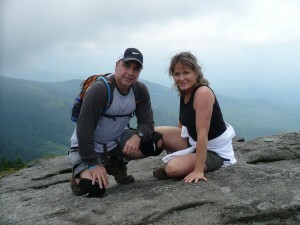 They all have a few things in common….your contributions are tax deductible and your money is usually in mutual funds. And some company manages the plans for you. The Roth IRA contributions are not tax deductible, but the earnings can be drawn out tax free in the future. Are these plans good for you? They are better than nothing. If you get a matching contribution from an employer, that’s a good thing. But over the years there has been a lot of negative press about 401Ks and mutual funds. I won’t go into all that in this blog. But here is my take on when these can be good and when they can be bad. If you are contributing money into your plan monthly, like out of your paycheck automatically, these plans can work OK because you don’t think about saving money. You do it automatically. The ups and downs in the market aren’t critical to your future. You see, when the market is down you are still contributing. So you are buying at the low end of the market. When the market recovers, you’re in profit. So an extended downturn in the market is not necessarily a bad thing since your account will recover with more money. You make a mistake to move all your money to safety earning nothing in this situation. You don’t always want to be buying at the high point of the market. Volatility can be your friend. HOWEVER, if you lose your job or change employers, you are no longer contributing to that account. Now when the market crashes, your money crashes with it. You have no idea when it will recover. The market could crash at the worst time in your life when you need that money, and now a lot of it is gone. This is what happened to millions of people in the last recession who lost their jobs, many in their pre-retirement years. They saw their 401Ks, their nest eggs, crash 40%. This is where the 401K, or similar retirement plans, can not work well for you. Also, it’s very difficult to know what kind of fees are built into these plans. Those fee can adversely affect your returns over the long term. The oldest retirement savings product in our history is the annuity. There is so much bad information about annuities. You’ll hear it from Dave Ramsey and some others. The worse person is Ken Fisher of Fisher Investments. He famously goes on TV and says he would “rather die and go to hell” than sell an annuity. This is one of the most unethical people I’ve ever seen on TV, and you will realize that soon. The truth is, annuities can be some of the best financial products to use for retirement. And they’ve been in existence for hundreds of years. I’ll explain more soon. Lastly there is the SMA, separately managed account. These are used by fee only and fee based advisors. You place your money with them and they in turn place your money with a money manager. You get charged a fee that is taken out of your account every quarter. These advisors will tell you that their way is the superior way because they don’t receive a commission. They will try to convince you that no one who accepts a commission for a financial product can be trusted….that only they are truly working in your best interest. Not always the case, I assure you. By the way, most of these advisors won’t give you the time of day unless you have at least $500,000 to invest. I will better explain these options in a video about conventional wisdom and let you decide for yourself. I want you to know that in my more than 20 years as a financial advisor and insurance agent, I have sold mutual funds and annuities. I have also used SMAs with clients. I’ve received commissions and charged fees. I feel I’m in a good place to talk about all three options for your retirement savings plan. Conventional wisdom…can you trust it. Instead of writing down my thoughts, I have a video for you to watch. This video is 31 minutes long and is a MUST WATCH. You will learn some things you’ve never known about the investment world. You will see how different advisors are actually paid. You need to know this. Be educated on these things! I like the idea of creating your own personal pension plan. What does it meant to create a personal pension plan? You know what a pension plan is, right? If someone has a pension plan, they expect to receive an income for life no matter how long they live. It’s very comforting to have a pension plan. My father was in the U.S. Army for 31 years. He retired at 75% of his pay. He went on to work for the government of Puerto Rico for many years and received another pension. And he also received social security. So when my father finally retired for good, he had a strong income for life with cost of living increases. He never had to worry about an income. How often does that happen today? Not often. School teachers still enjoy having a pension, although I’m not sure how much longer that will last. I know a young couple where the husband works for the power company and the wife works as a school teacher. The both have pensions, and will get social security one day (maybe). He contributes to a 401k plan at work with a generous match. Needless to say they should enjoy a very nice retirement if they retire without debt. But that’s still rare. 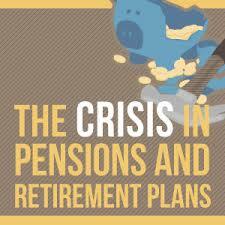 Unfortunately pension plans are in trouble all over the country. What I want you to realize is that you can create a pension plan even more secure than that for yourself. This plan will grow well all your life without risk. It will increase in value each year. And will pay you in retirement as long as you live, no matter what. Don’t you think at least some of your retirement money should be in such a plan? It makes a lot of sense. This personal pension plan is a fixed annuity. There are many kinds of fixed annuities, and you can design them many different ways. But the bottom line is that a fixed annuity will grow well all your life without risk. It can increase in value each year. And it will pay you in retirement as long as you live no matter what. You need to speak with someone who is proficient in all types of annuities to find one that works best for your particular needs and future long term plans. I am very proficient in fixed annuities. Never ever listen to anyone who flatly states annuities are bad. Someone like that is not worthy or your attention. During the great depression people who owned annuities never lost a dime. Babe Ruth, the famous baseball player was one of them. Almost half of banks failed, the stock market crashed and it took over a decade to recover, and businesses failed. No one lost a dime with their annuities. Those annuities just kept paying out interest every year. Mutual funds weren’t even invented at that time. So what makes more sense to you? Come on now…what makes more sense to you? 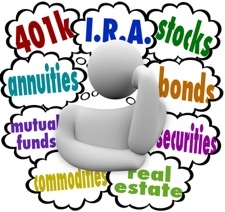 Putting all your retirement money into the stock market with mutual funds, stocks, and bonds? Trusting a fee only advisor who swears you come first but doesn’t guarantee you anything? Thinking your 401K is all you need? Really? Or does creating your very own personal pension plan with some of your money make more sense. 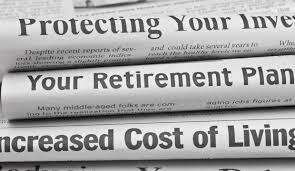 A personal pension plan that will grow without any risk no matter what EVER happens in the stock market or economy. A personal pension plan that will never lose money and will be there for you guaranteed when you retire. 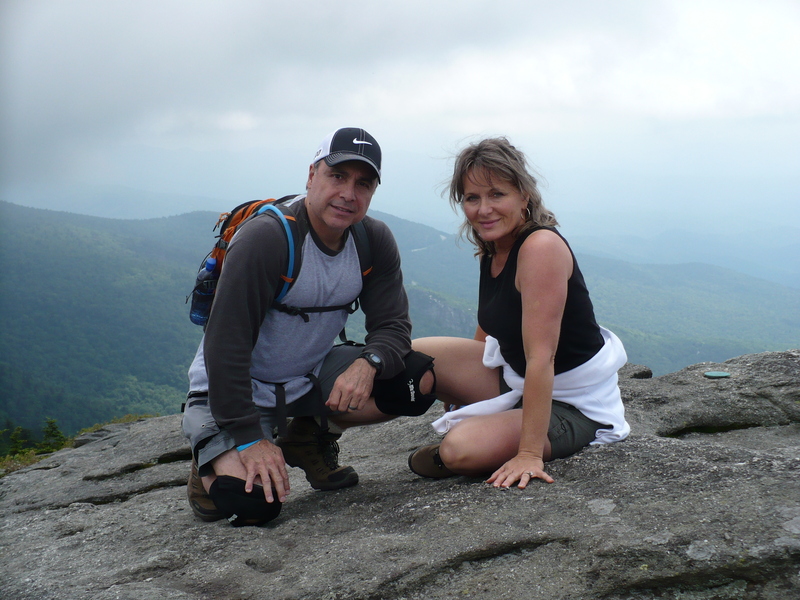 A personal pension plan that pays you a non-stop income for life when you retire. Can those other retirement savings options give you that kind of peace of mind. NO….they can’t and they never will. OK I get it. What’s next? If you have an old 401K from a previous employer, you should call me to learn more. If you rolled over an old 401K to an IRA, you should call me. If you have money in a brokerage account, or money you received from an inheritance or cash settlement, you should call me. If you’ve sold a business or property and want to put some of the money away for retirement, you need to call me. If you have an old pension plan that is frozen from a previous employer, you need to call me. Listen to this one…if you have a 401K at work that allows you to do an in-service distribution , you need to call me. This is where your employer allows you to move money out of your 401K to a personal IRA while you are still employed. This allows you to move some of your 401K money to the safety of a personal pension plan while you are still working there. This is especially beneficial for people in their 50s and 60s. DO NOT be risking all that money at those ages! Let’s talk on the phone to see how a personal pension plan can meet your financial planning needs for the future. Don’t worry, I won’t try to sell you on anything. Once you’re educated on your options, you can make the right decision for you one way or another. I hope this blog post has been informative. God bless you in all that you do. P.S. If you enjoyed this post about What is The Best Way to Save for Retirement please comment below. Thank you Victor, Great information. We have been with you a long time and you have always stirred up right. I will pass on your video. Thanks Julie. I appreciate your confidence. And thanks for passing this along.